Douglas S. “Scott” Hensel, age 74, died unexpectedly in his sleep at his West Sunset Road residence in Port Washington, WI on Sunday, June 17, 2018. He was born July 12, 1943 in Port Washington, Wisconsin to John and Janet Gruenewald Hensel. He graduated from Port Washington High School in 1961. Scott loved to sing and had a great voice; singing with his sisters for weddings and competitively as a young man. Scott lived in the area most of his life, leaving only for a short time away in Northern Illinois before returning to Saukville then the town of Grafton for 24 years. In 2010 he came back to his hometown of Port Washington. Over the years, Scott worked at Mold Craft, Johnson Brass and eventually Simplicity Manufacturing in Port Washington where he was a foreman for over 18 years. Afterward, he worked for Woods Equipment in Illinois, and Milwaukee Sign as well as driving truck for a number of plumbing supply companies in Milwaukee before retiring. Throughout his life, he liked riding his Harley, a great barbecue, hunting, watching old movies, listening to music, playing guitar and singing – especially Elvis tunes which he often sang with an uncanny resemblance. His Karaoke machine was never far away and Scott would record cassettes and CDs for his family and friends. His great sense of humor and quick wit kept family and friends laughing and wondering what may come next. He had a big heart, a great love for family and friends and treasured time spent with them. He is survived by his children Julia (the late Dan) Grandlic of Sheboygan, WI; Lisa (Dave) Lemler of Castle Pines, CO; Michael Hensel of Franklin, WI and Amanda (Doug) Secor of Kimberly, WI; grandchildren Elizabeth (Kyle) Raml, Adam Grandlic, Carter Secor, Avery Lemler, Mason Lemler, Jack Hensel, Peyton Goeden; former spouse and special friend Mary Hensel of Port Washington, step-sons Dan (Heather) Goeden of Wauwatosa, WI and Michael (Julie) Goeden of Los Angeles, CA; step-grandchild Matthew Hadler and step-great-grandchildren Nolan and Landon Hadler. Further survived by his mother Janet Hensel of West Bend, WI; sisters Debra (Norm Blankenburg) Kison of West Bend, WI and Sandy (Jim) Bernarde of Phoenix, AZ; dear friends Bruce (Donna) Laabs of Port Washington and former spouse Janet (Fred) Krier of Belgium; nieces, nephews, other relatives and friends. He is preceded in death by his father John Hensel, son-in-law Dan Grandlic and grandson Brady Secor. Memorial funeral services will be held at 12 Noon Monday, June 25, 2018 at the POOLE FUNERAL HOME/Crematory, 203 N. Wisconsin Street, Port Washington, WI. Family will receive relatives and friends from 10AM – Noon Monday prior to a brief service. Interment will take place immediately following the service at St. Paul Cemetery in Silver Creek. 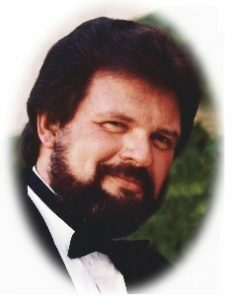 For more information and condolences go to www.poolefh.com or 262/284-4431. For it’s there that I belong and we’ll never part. For my darling, I love you and I always will. Just read that Scott passed away – my deepest sympathy to all. This is so ironic as I was just thinking of you the other day. So sorry to hear of Scott’s passing! Debbie, I have so many fun memories of your brother! Knew him many years ago. Babysat for his kids. My thoughts ansd prayers are with the family. Our deepest sympathies, We keep you all in our thoughts and prayers. Scott (Sputz) and Mary (Ex-wife & friend) would come to my parents house every Christmas Eve to exchange X-mas gifts and make plans to go out New Year’s Eve. He was a very close friend of thiers. I know my parents will miss him dearly. Scotty had a wonderful voice. He sang a lot of Elvis songs. I remember he and I went to shop for my first leather jacket. We had fun times with him and Mary and Debbie. Great memories!